Born Flora Jane Timms on 5 December 1876 in the hamlet of Juniper Hill near Cottisford in North East Oxfordshire, Flora became a Post Office Worker at Fringford at the age of 14. 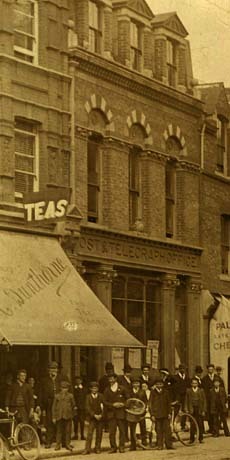 Serving in a variety of post offices, she came to work in Twickenham, perhaps in 1902, where she may have joined the staff of the Post & Telegraph Office on the north side of King Street. This building was subsequently a cinema for a short while and today is occupied by the charity Oxfam. The General Post Office in London Road did not open until 1908. For a while she lived as a lodger in a house (no8) in a nearby road known as Heathfield North. On 7th January 1903 she married John Thompson, a post office clerk from Bournemouth, at St Mary's Church, Twickenham. It is possible that she had met John in Bournemouth in 1901. The young couple then moved to live in Winton on the outskirts of Bournemouth until 1916, when John Thompson became Postmaster at Liphook, Hants. By 1928 the Thompson family had settled at Dartmouth in Devon, and there in 1935 Flora started to write about her childhood in rural Oxfordshire - a vanished world of agricultural customs and rural culture. Lark Rise the first of her “Lark Rise to Candelford” trilogy of autobiographies was published by the Oxford University Press in 1939, followed by Still Glides the Stream and Candelford Green. 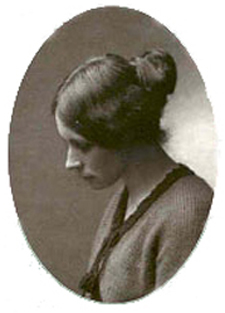 Thereafter the OUP published all of Flora's books save one, her very first book of verse, called Bog Myrtle and Peat, written in 1921. Flora Thompson died in May 1947. Her ashes were buried at the Longcross Cemetery, Dartmouth.